Thinking about putting your home on the market soon? You’re probably considering making some updates to your home to help it sell faster or for more money. You might be considering some cosmetic updates such as a fresh coat of paint or new carpet. Or, you might be thinking bigger-ticket items like new appliances or even a new roof. At what point do you consider the return on investment (ROI) you’ll get from these updates? Do any of these updates actually increase the value of your home? Specifically, what is the return on investment of a new roof? Every year, Remodeling Magazine conducts a survey that compares the ROI for a range of home improvements. Included on the list are bathroom remodels, new decks, and garage additions, just to name a few. According to the Remodeling Magazine 2018 Cost vs. Value Report, a new roof increases home resale value by a national average of over $14,000. This means that homeowners who have a new roof installed can expect to recover an average of 68.4% of the cost or their new roof through increased home value. This puts a roof replacement in the top 10 home improvements that increase home value. Will a new roof help my home sell faster? Does a new roof increase home value? Ask any real estate agent, and you’re sure to get the same answer: homes with newer roofs sell faster, easier, and with fewer inspection issues. Most home buyer want to purchase a home that is move-in ready and won’t require any major construction or updates in the immediate future. • Have improved resale value. On average, a new roof increases a home’s resale value by over $14,000. • Have better curb appeal. New architectural-grade shingles provide texture and color options to make your home stand out to buyers. • Have longer warranties. Premium-quality asphalt shingles offer warranties as long as 50 years. • Avoid building inspection issues. 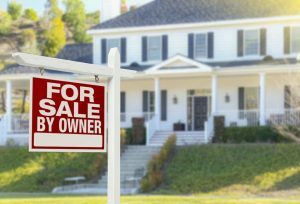 A bad roof can stop a home sale dead in its tracks. The right contractor can make sure the roof passes inspection with flying colors. A new roof is a big investment. No matter your reasons for wanting or needing a roof replacement, take the time to find the right contractor for the job. At E3 Roofing & Remodeling, we have the training, tools, and experience necessary to complete the job quickly, efficiently, and safely from start to finish so you can get your home on the market ASAP. Give us a call today to schedule a free inspection and to get started on your new roof.